The under 5’s and their parents explored clay and textures and found objects to create alien like creatures and their home planets. One of the aliens was a cheese eater who fed from a cheese volcano and another lived on a pea planet: it was fascinating listening to the children talking about the habitats of their aliens. Working with Suffolk County Council. 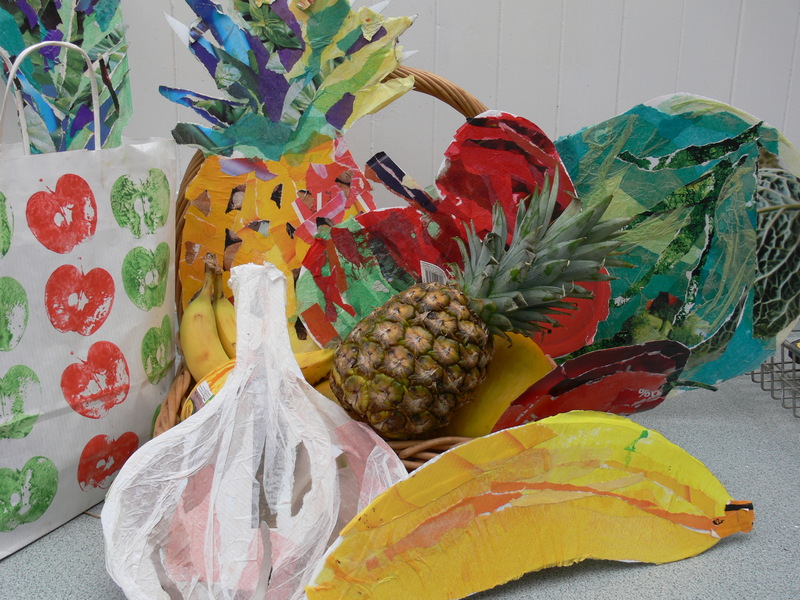 Mixed media healthy eating art activities at Red Lodge and Lakenheath today. During November we worked with children from Elveden Primary, Norwich Road Primary and USAF Mildenhall to make an installation for the Electric Forest event at High Lodge in Thetford Forest. 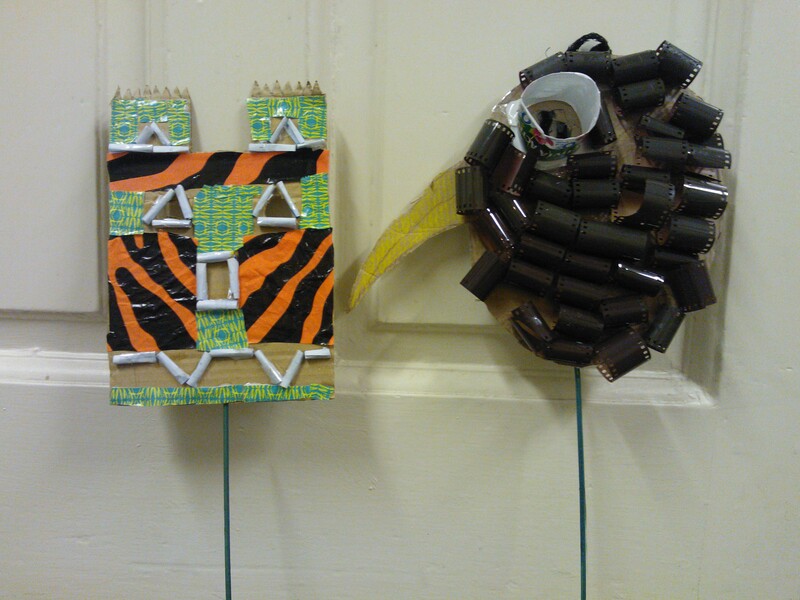 The children collected used plastic bottles and using cutting and threading techniques transformed these into enormous imagined plants. The plant was named the Junklecreeper and a story emerged about a new invasive species that grew out of the plastic bottles thrown into a pit in the forest. After we installed the artwork Phil Supple and his team designed lighting and and a soundscape for the experience. Thousands of visitors visited Electric Forest through December to enjoying the stunning light installations and the opportunity to be out in the forest after dark. We are currently working with Culture Creative to install an art work as part of their annual light installation in Thetford Forest http://www.theelectricforest.co.uk/Electric_forest/Thetford.html . We will be working with children from Norwich Rd Primary, Forest Academy Schools and USAF Mildenhall and Lakenheath during November to be ready for the opening of Electric Forest on 30th November.